The six day bike ride in Belgium and France was over. However the next town was only 35 miles away and there was an opportunity to ride there instead of taking public transit. What better way to get to the next town on the adventure than by riding in on a bike. However the bike rental was up, what could I do? 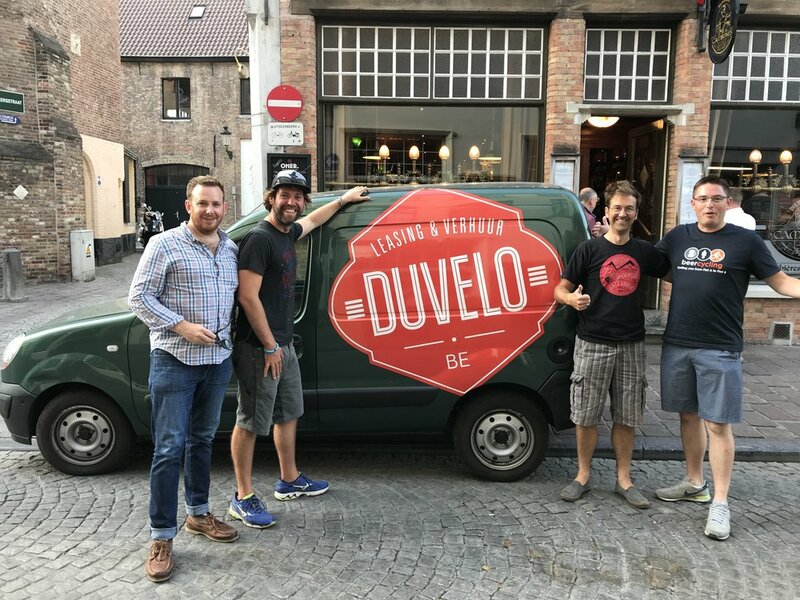 Instead of assuming it wasn't possible I simply asked Tom, in the picture above 2nd from the right, who is the owner of DuVelo bikes if there was a way to make this work. Cool, calm, and collected he said no problem. There was a fee but I could continue to have the bike for another 24 hours and he would pick up in the next town where we took this picture with him upon the pickup. In minutes we were off! There were no Facebook ads he needed to run or email marketing campaign to create. He didn't have to attend a networking event or spend money on advertising for this kind of marketing to work. Sometimes the best way to market is the most simple way to market. He turned a possibility into a reality. He didn't have to do anything other than think on his feet, solve a problem, and give a solution to an interested customer. We overthink just about everything in life. Marketing doesn't have to be one of them. The simple way to market is just having conversations and finding opportunities, collaborations, and relationships. When it feels like you are forcing it you probably are. If you work on marketing in the simplest and most organic form you might just find yourself on the street corner of Bruges, Belgium taking your picture with three happy and satisfied new customers of your business. That's where Tom find himself last week! Let's all be a bit more simple and a bit more like Tom and we'll find the wins. Is simplicity a key to good marketing? Leave your comments below and thanks for reading! If you haven't attended a Marketing Mastery Club click HERE for the next event and if you want to implement simple marketing my newest book will help you, snag a copy HERE!